The College is open on a normal operating schedule. Maroon Alerts text messages will be used as necessary to communicate urgent information to the campus community. 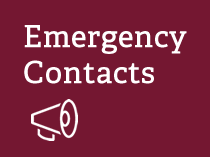 Students, faculty and staff are automatically enrolled for Maroon Alerts with the cellphone number the College has on record. 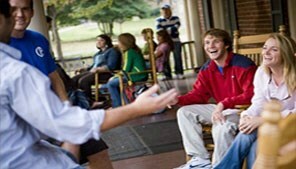 College updates will be posted here (Roanoke.edu/Alert) and on College social media profiles (Facebook & Twitter). The National Weather Service is a good resource as well as the National Hurricane Center. Locally, The Roanoke Times weather blog is a good resource, along with the local TV stations: WDBJ7, WSLS10, WSET13 (Lynchburg) and WFXR.